Weddings, like fashion, are also influenced by trends that dictate generations, styles, unique and unforgettable moments. 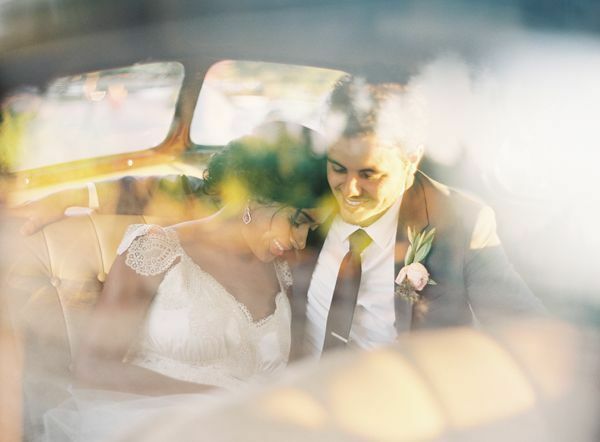 We’ve discovered the major trends for next year, so for those of you who are planning your dream day, here is the guide of what you should definitely consider investing in if you’re tying the knot in 2014! 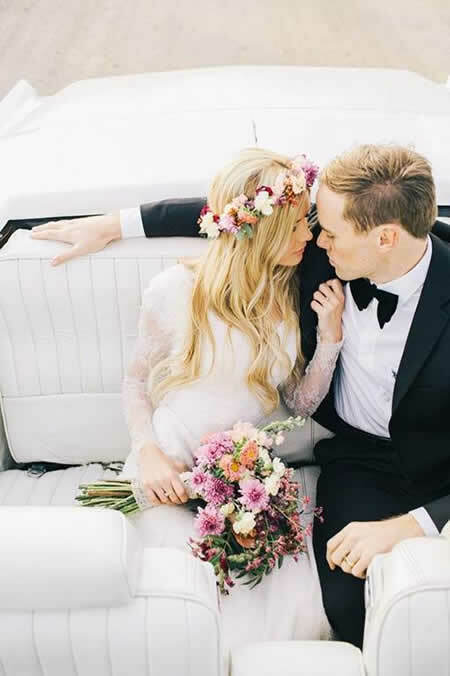 In 2014, nature has risen beautifully to the heads of many brides, thanks to flower crowns that convey a natural look and tone to the entire wedding – as long as they are coordinated with an ethereal style. 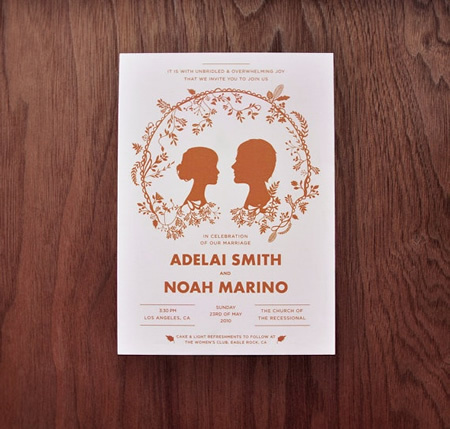 Victorian silhouettes adapted to modern day are all the rage among brides and grooms, and wedding invitations will also be jumping on the bandwagon in 2014. 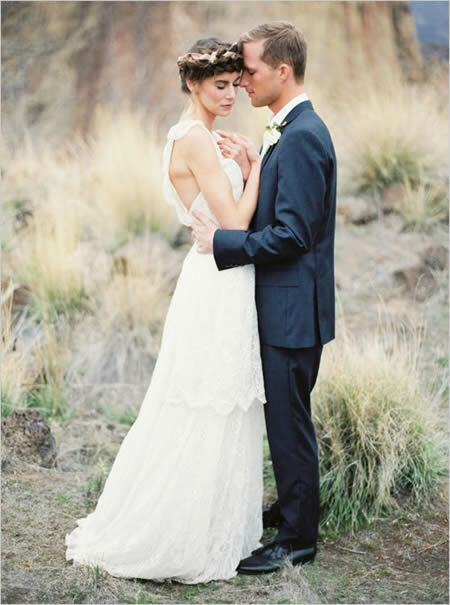 In 2014, wedding dresses are going to be flowing, with little or no volume and lacy, sometimes in pastel shades such as pink, but always with a touch of elegance. The bride’s entire look is more relaxed and natural, as is the use of flat and comfortable shoes, but always with a unique and elegant appearance – as a bride is, and always should be! 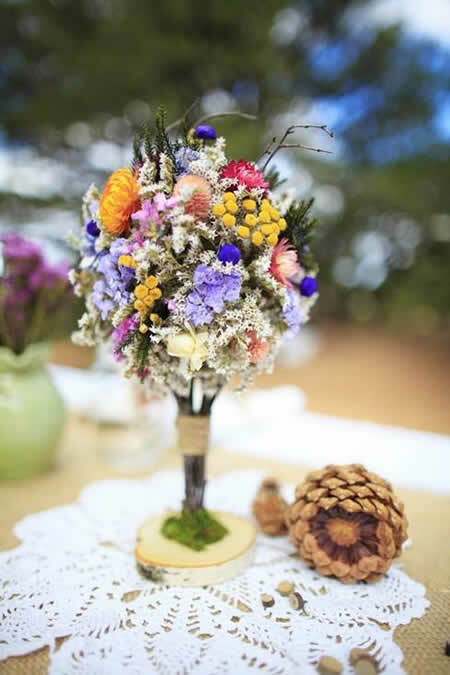 The wedding flowers should be natural, with a touch of something random. The base colors are neutral, always with a vibrant detail here and there. 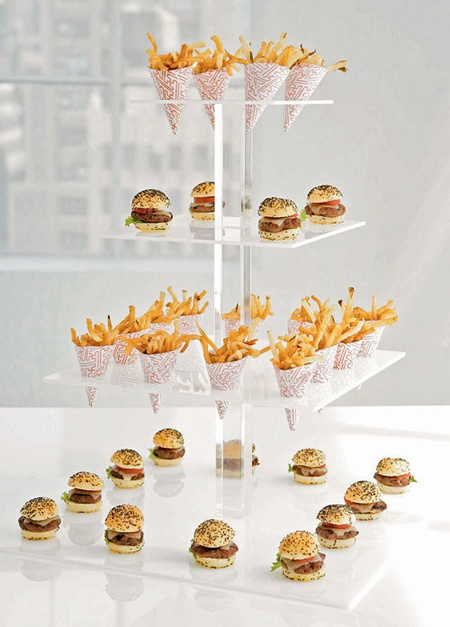 Who doesn’t love a delicious hamburger, hotdog, fries ... in miniature? These tiny pleasures are already a part of wedding catering and the trend is here to last: they are tasty and capture the eyes and the taste buds of cheerful guests, whether during the reception cocktail or as a late-night snack during a fun and after-hours wedding celebration. Tablescapes that are equally natural and relaxed, but always creative and original, and if you can do it using less resources, that’s a plus! 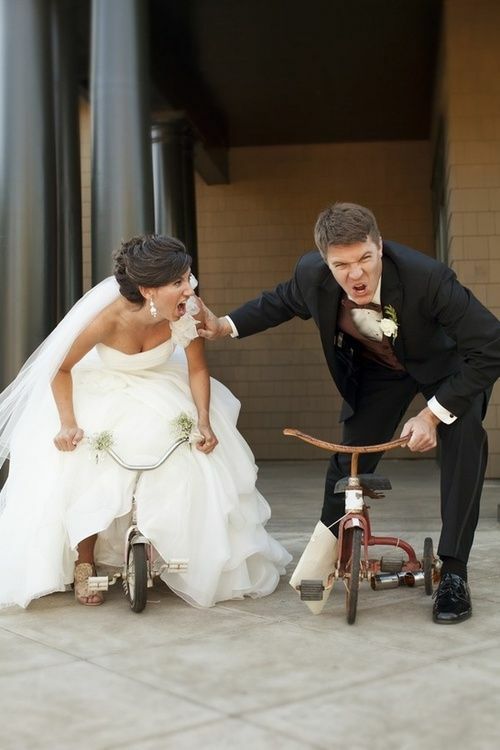 Not only in the photo booth sessions, but also during the rest of the wedding party: humor and joy are essential for entertaining guests and for creating unforgettable memories. Making sure guests have fun with games for those who don’t like to dance, and generating unexpected moments, are trends to watch for in 2014. Gold has arrived and it came to stay. 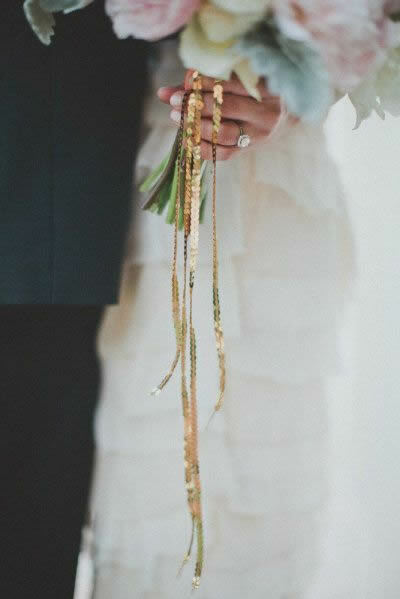 Wedding trends for 2014 add a touch of gold to everything from dresses and decor, to flowers, stationary, manicure... making so many details shine! 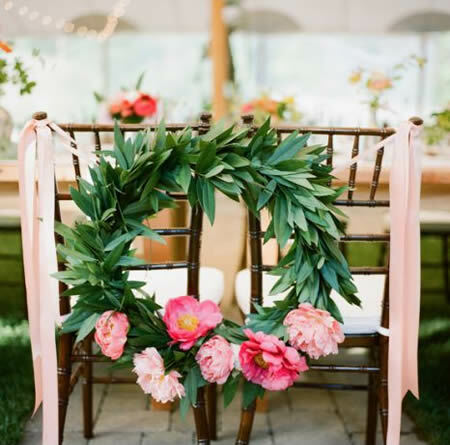 The bride and the groom’s chairs have always been of great importance, but as an emerging trend, it is a detail that just became even more important. The back of the newlyweds’ chairs are going to be well decorated and super original in 2014, especially with flowers. 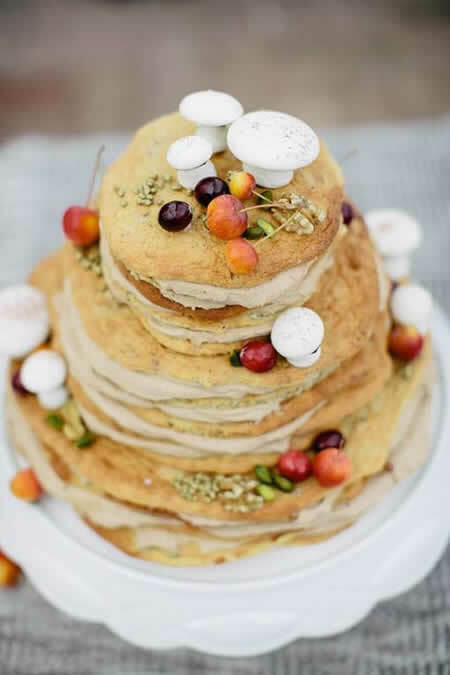 The wedding cake is so relaxed that even a stack of donuts or pancakes have become part of the new trends. 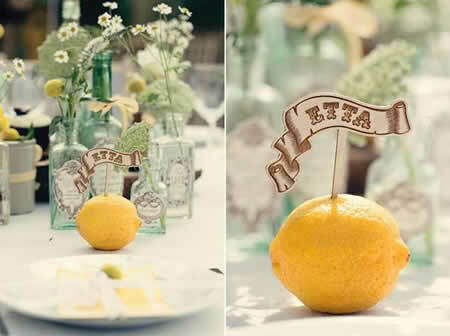 Even the traditional bride and groom toppers are going to be often replaced by a more abstract concept. 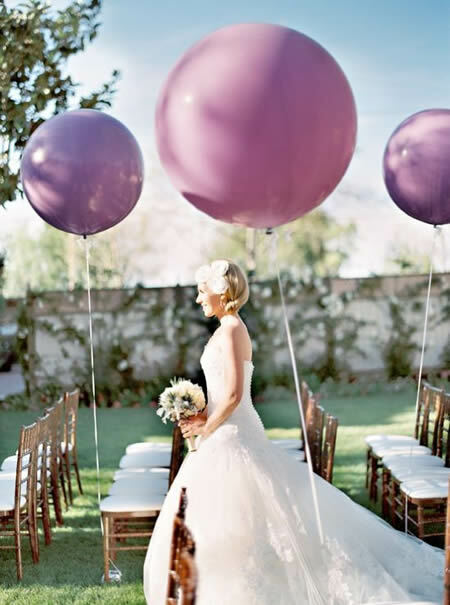 Photography also follows trends and, in 2014, favoring soft tones will be all the rage among wedding trendsetters. Balloons are definitely here to stay, despite their fluctuating function. They are colorful, fun and scream let’s party!